The response to warfarin is highly variable among individuals and such variability is likely to have some genetic basis. We evaluted the effect of VKORC1 polymorphisms on warfarin response among Japanese, taking advantage of its unique population structure in which CYP2C9 *2 and *3 alleles are relatively rare. 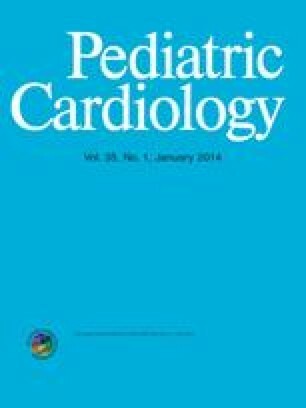 Thirty-one patients (12–34 years old; median, 22) on warfarin were recruited from a pediatric cardiology clinic. Genotyping of the C>T polymorphism at position 1173 in intron 1 of VKORC1 revealed that 26 patients (84%) were T/T homozygotes at nucleotide 1173, whereas 5 (16%) were C/T heterozygotes. Complete linkage disequilibrium was observed between the 1173C > T polymorphism and another polymorphism, the 3730G > A, in the 3′ untranslated region. The C/T heterozyogtes at the 1173C > T polymorphism tended to require more warfarin than the T/T homozygotes, when adjusted for international normalized ratio (p = 0.003). Both the 1173C > T polymorphism and the 3730G > A polymorphism are likely to be inert from a functional standpoint. Rather, based on the complete linkage disequilibrium between 1173C > T and 3730G > A polymorphisms, we suspect that the actual change that defines the relative resistance to warfarin may be present in the proximity of these two polymorphisms. We are greatly indebted to the patients and families for generously donating samples and clinical information. We thank Dr. Atsutoshi Tsuji for helpuful discussion. This work was supported by grants from: the Ministry of Education, Culture, Sports, Science & Technology of Japan and the Ministry of Health, Labour, and Welfare of Japan.